Jones Beach State Park's 11th annual event is among the brightest spots this year. This is the season to take in the twinkle. 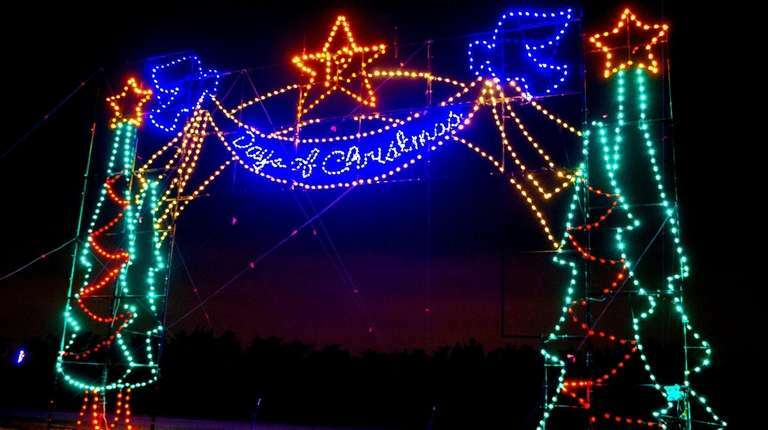 See the colors of red, green, gold and white illuminate the night when driving through this trio of outdoor holiday light displays around Long Island. It may not be summer, but Jones Beach State Park is still providing entertainment with the 11th season of its annual holiday light show. Come to the west end of the park to see displays of Santa’s Beach Party, Snowflake Wonderland, Toyland and the 12 Days of Christmas. The fun continues at the Toyota Holiday Village, where a model train display, free arcade games, a holiday hay maze and outdoor firepits are available while seasonal songs play in the background. Need a sweet treat? Make your own s’mores (two for $10 per kit) or participate in holiday cookie decorating ($6). For $20 per family, join the Santa Experience, in which a portrait with a real-life Santa gets taken and there are options to have the photo put on other merchandise for sale. ADMISSION $25 per car on a weekday, $30 per car on the weekend ($20 in advance online), $55 per limo/RV/small party bus on a weekday, $60 per limo/RV/small party bus on the weekend ($50 in advance online), $125 per bus ($100 in advance online). 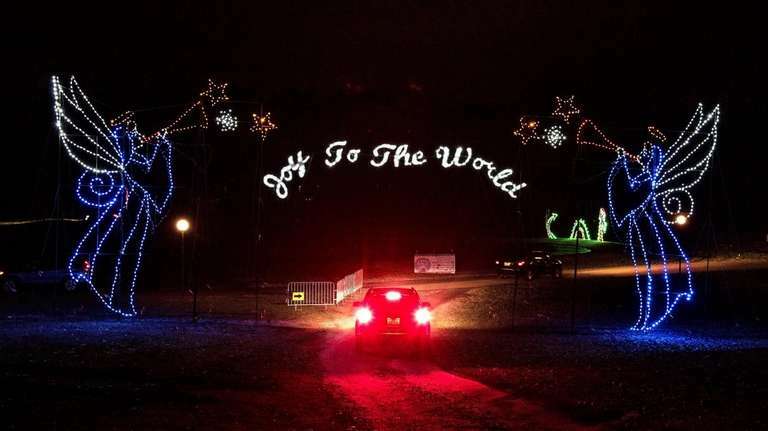 WELJ (104.7 FM) plays holiday music for the East End and this year it is pairing its playlist with a new light show at Long Island Sports Park in the Town of Riverhead. 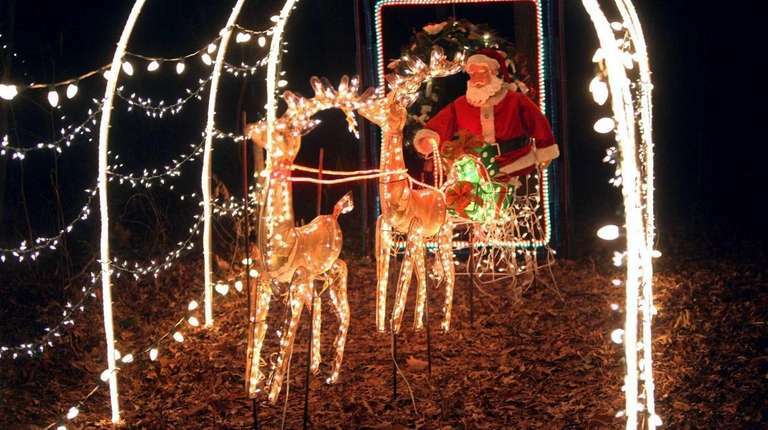 The 2-mile drive in the hamlet of Calverton has 60 displays ranging from 8 feet to 60 feet tall on both sides of the road with music on the radio that is synched with the lights. Candyland, polar bears ice fishing, Santa’s workshop and dancing Christmas trees are just some of the festive scenes families can enjoy all lit up. 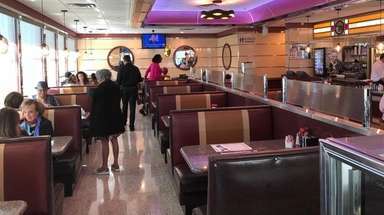 Although they’re known nationally for their cookies, here on Long Island the Girl Scouts of Suffolk County also have a strong reputation for their holiday light show. The mile-and-a-half-long drive features more than 65 light displays as large as 50 feet high. Each vignette showcases a different scene, from a fairy-tale castle to a lighthouse with surrounding sailboats to the Empire State Building with a Manhattan skyline. Cars can tune their dials to 89.3 FM for a holiday-themed soundtrack. At the end there’s a holiday village where photos with Santa can be taken and where hot chocolate and desserts are sold. 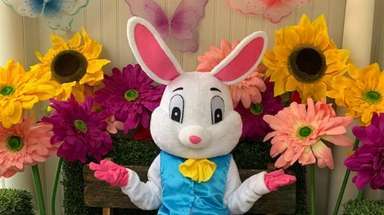 ADMISSION $20 per car (no pre-sales, all purchases at the gate are credit card only), $40 per mini bus or RV, $70 per coach bus, school bus or trolley.